Welcome to Realtime-Spy's Installation Guide. With this guide you should have Realtime-Spy up and running minutes! 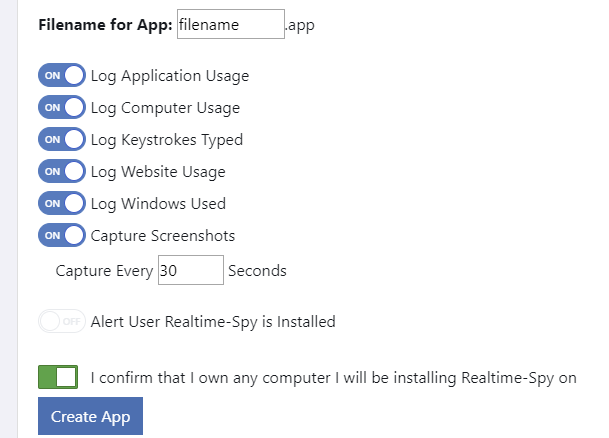 After logging in to your Realtime-Spy account, click on "Create Logging App". 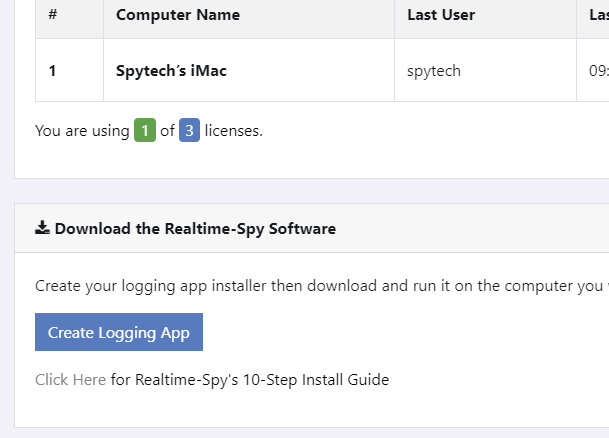 You will now be able to configure the logging options you want for your Realtime-Spy logging app. Configure your monitoring options, as shown below, and specify a name you want to name your logging app file as (ie: filename.app). This is the file that is ran on the computer you want to monitor to install and start the monitoring process. Once you have your options set click "Create App" to create your logging app. After your app is created you will be given a download link, as shown below. Click the download link to immediately download the logging app file. In this guide we are using Chrome as our web-browser to download. Most browsers (such as Chrome) will save the file to your Downloads folder, or prompt you to choose a location to save it to. The logging app will download as a .zip file, and will contain the logging app .app file you will run to start monitoring. When you open the .zip file you downloaded the logging app .app file will be created automatically next to it, as shown in the next step. Now it is time to send out the logging app to your remote Mac. Right click on the logging app file you created above and then click on 'Share' - 'Mail'. Do you have physical access to your Mac that you want to monitor? 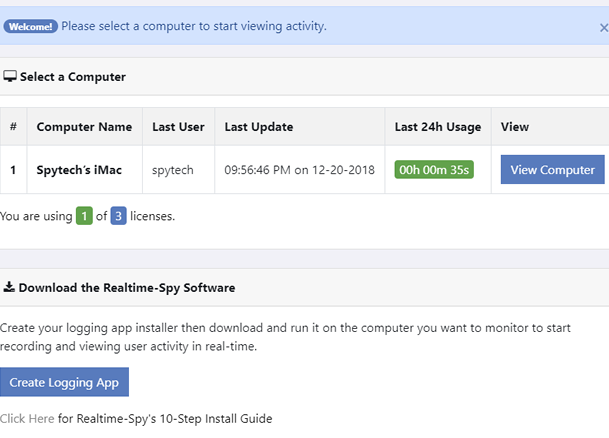 If you wish to physically install the Realtime-Spy logging app you created above simply copy it to your Mac that you want to monitor and run it on the computer (either by double-clicking the app file, or right clicking on it and choosing 'Open'), and proceed to Step 7 below. 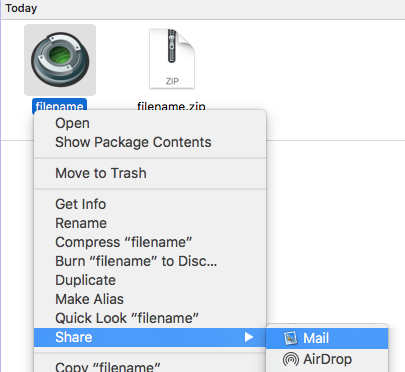 A new email with the logging app file (filename.app in this example) attached will appear. You will now have to enter a recipient for the file you are sending, as well as an email subject and body. Once you are ready, send the email to the user on your remote Mac! Your Mac user will have to run the logging app .app file you are sending them to start monitoring. Note: If you wish, you can delete the Realtime-Spy logging app and zip file you created and downloaded. These can be removed without interfering with monitoring. 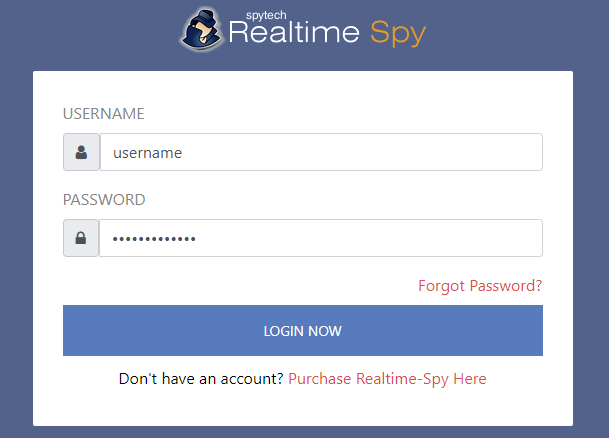 You will be presented with your Realtime-Spy webspace. Here you can select and view computers that are logged with the logging app file you sent/installed. Note: Computers will only appear after the logging app is ran on the Macs you are wanting to monitor.